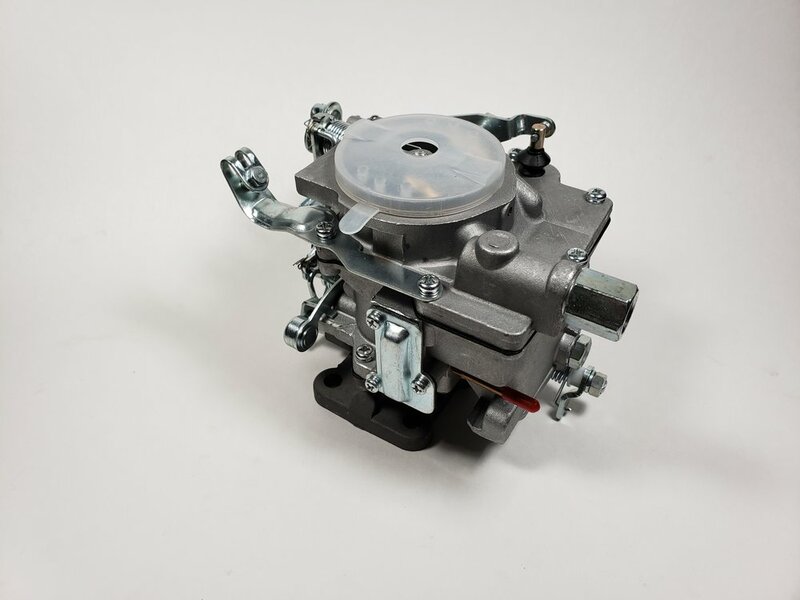 3K Carburetor Only — Certified Machine & Design, Inc.
Pictured is a Toyota 3K carburetor (21100-24034/35). Noted for its simplicity and ease of use. We buy chinese manufactured carburetors (there are no American Made carburetor replacements available for these older model Toyota Carburetors). The 3K is best used on smaller displacement engines like the Suzuki Samurai 1.3 Liter. But this is not just another carburetor. We buy carburetors from a single supplier whom we have built a relationship with. We take each carburetor and give it a thorough inspection for debris, float settings, leak points, wrinkled gaskets and poor linkage alignment. Since we have used this style carburetor for years, we know where the weak points are. Next we install the carburetor on our Shop Samurai (aka Lab Rat) and adjust cold idle, hot idle and fuel settings. We idle the engine down low to make sure the idle circuit is the only circuit keeping the engine running. We set the fuel screw for highest vacuum and make final tiny adjustments with an Innovative Air/Fuel Wide Band O2 Sensor. Now we adjust the idle for 800 rpm and go for a test 4 mile drive (yes we drive them in a car - not a flow bench). When completed, our carburetors start immediately, idle correctly and will take throttle blips without stumbling. Not all carburetors can pass our process. These are stacked on a shelve for later examination. When we collect a few, we sit down and overhaul these top to bottom, often finding the errors from manufacturing, misdrilled holes or missing components. Over the past 5 years, we have found 15% that fail our process. Buying from us assures you have a carburetor that will fire up and run - right out of the box (or plastic bag, in this case). There are a few differences between the Toyota 3K and Toyota 4K carburetors. On the “head side” of the carb is a small metal cover - this is the IAC. As the carburetor gets hot from the heat around it, a bi-metallic spring expands and allows additional air into the carb throat through internal passageways. The 4K has these features in the carburetor casting, but are not machined to accept the IAC. This is the rectangular metal box on the “fender side” of the carb. This has an inlet rubber hose (from the top of the carburetor horn) going to the IAC box and an outlet rubber hose (to the base of the carburetor). The 4K carb has an additional, 12 volt, Fuel Cut-off Solenoid to prevent “dieseling” when the engine is shut off. The 3K carburetor has internal machining completed to accept this Fuel Cut-Off Solenoid. A hex plug is screwed into the 3K carb housing blocking the ports off when not used. Buy 3K Carb + 3K Kit + Spacer Kit - $260.00 Shipped!